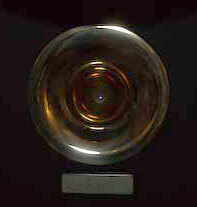 Click here to e-mail writer. 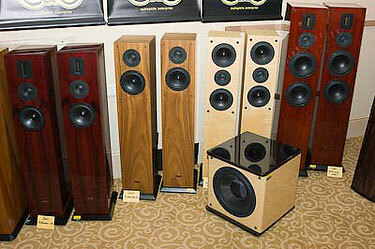 Welcome to Enjoy the Music.com's KL International AV Show report by Wong Kok Chieat! 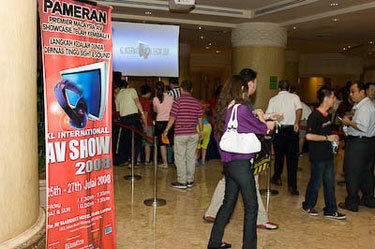 This event is Malaysia's the premier audio / visual exhibition and was held from July 25th through the 28th, 2008 at the JW Marriott Hotel in Kuala Lumpur. 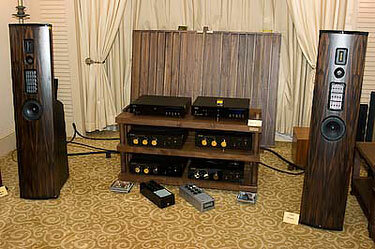 The KLIAV show has been the exhibition most frequented by me, and has always been the best place for local audiophiles to catch up and discuss things audio and video. This event Showcases the latest products from many companies and attracts visitors from around the Asian region as well as from Europe, USA, Japan, Taiwan, Korea and China. My visit this year has been the shortest one due to my job posting in Philippines. I flew in Friday night and dropped by the show for a short 4 hours and flew back Manila on Sunday. I won�t do much narrative text due to the overwhelming pictures. If, however, you need further details on any rigs or pictures please feel free to e-mail me. I shall try my best to get back to you as soon as possible. 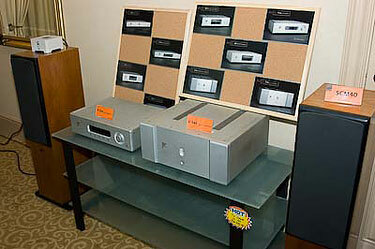 Epos M16i floorstanders, Creek Destiny integrated amplifier, Destiny CD player and BAT VK-300x integrated amplifier. 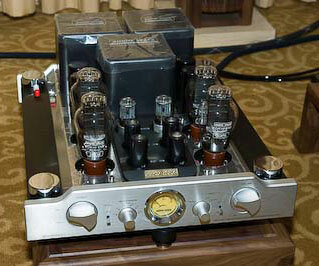 Audio Space Reference 3.1 integrated amplifier. 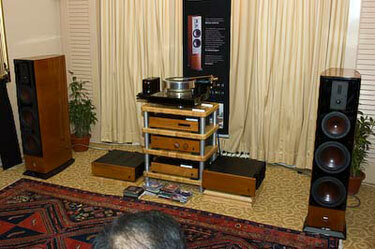 Audio Space Reference 3.1 integrated amplifier driving a pair of Tannoy Prestige Sterling SE. 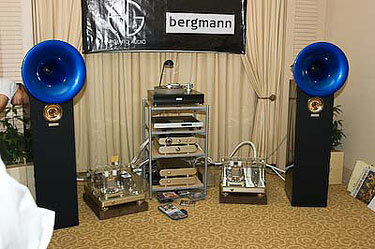 Wavac amplification with Orpheus digital source source and Bergmann analogue source, driving a pair of Acapella Violin. 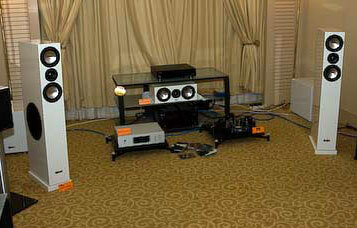 Audio Note CDT Four transport, DAC 5 Signature , M2 Line and Quest monoblocks driving a pair of Avantgarde Uno Nano. 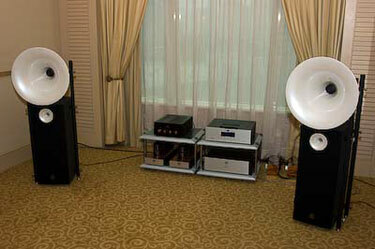 Holfi gears driving the Dali Helicon 800 MKII floorstanders. The new entry to the Malaysian market, Onix. Here, the Onix CD-3 CD player, SCD-1 SACD player, A80 integrated amplifier, RA120 integrated amplifier and a pair of Strata flagship loudspeakers. 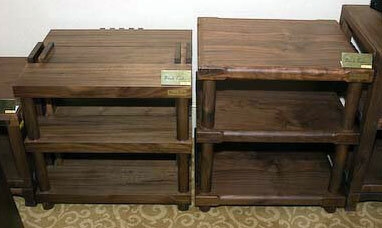 Black Timber racks and platforms made of solid wood. The special feature about it was there was not a single screw or nail being used! 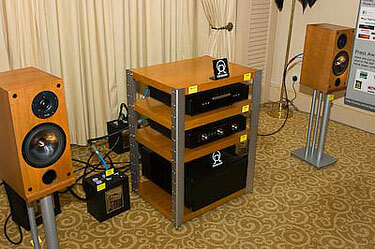 Primare gears driving the latest pair of ProAc D2 bookshelves. 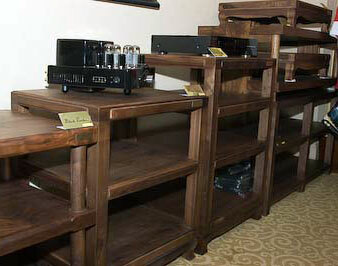 Usher amplifications, with the Be-718 bookshelves that caused a stir recently. 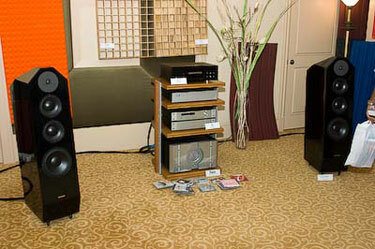 Densen B-400XS CD player, B-200 preamplifier and B-350 monoblocks driving a pair of Focus Audio Master 2.5 floorstanders. 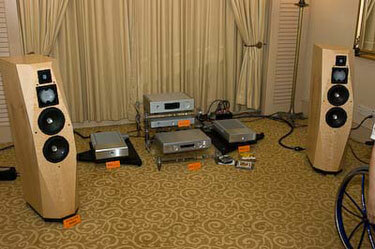 Clean power provided by PS Audio Power Plant Premier. 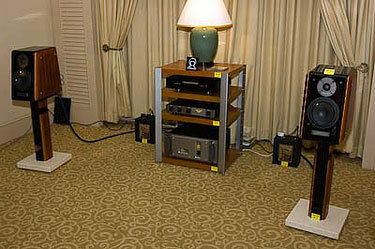 Ayre CX-7e CD player, Manley Stingray amplifier driving a pair of Canton Karat 790DC. 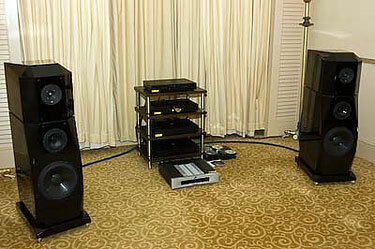 Ayre L-5xe power filter, C-5xe universal player, KX-R preamplifier, MX-R monoblocks driving a pair of Avalon Indra floorstanders. ATC bookshelves on static display. 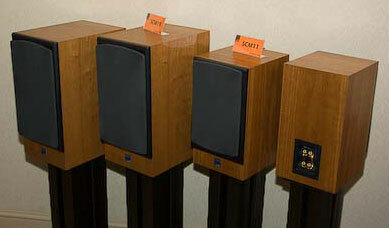 ATC SCM40, Ayre K-5xe and V-5xe on static display. 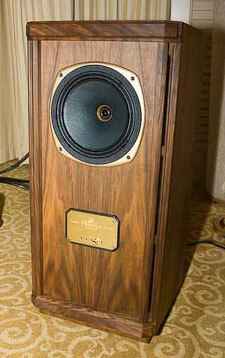 Eggleston Works The Nine loudspeakers driven by Pass X350.5 power amplifier. 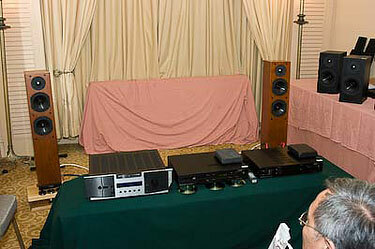 Source was Esoteric X05 CD player and pre amplifier was Pass X1. Power filter was IsoTek Mini Sub.